The cost of a first class stamp rose to 70p yesterday, with second class stamps going up to 61p. The 3p increases mark the largest joint rise for the stamps since 2012, when both types were raised by 14p. They follow a Royal Mail apology for breaking a limit set by Ofcom on the cost of second class stamps. The regulator’s cap of 60p, designed to keep the postal service affordable, was supposed to stay in place until April 1, when it rises to 65p. Royal Mail apologised in February when it announced yesterday’s rises. They come as the popularity of writing letters and cards falls. 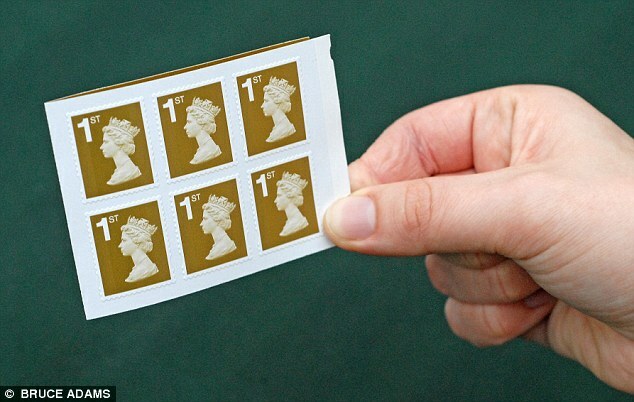 Royal Mail said the price of stamps is competitive compared with other countries. ← How Long Should Startup CEOs Go Without a Salary? Did window fall out of luxury penthouse and kill coach driver when it was opened by cleaner?